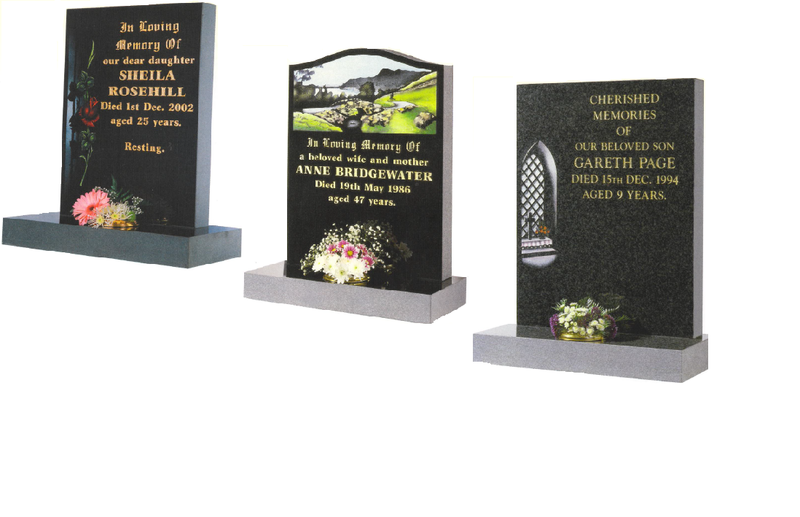 We have a large range of Memorials for you to choose from and most styles, carvings and type of stone can be interchanged as you require. We have brochures which you can take away and look at before coming to your final decision as we understand that this an important decision that takes a lot of consideration. It can take about 12 weeks for the Memorial to be erected however it is worth the wait. We can also arrange any Additional Inscriptions, Cleaning, Repairing, Re-Gilding and Re-Painting to an existing Memorial to be completed. We also do smaller memorials and Urns to remember your loved ones, find out more about our keepsakes here.